HH Rebozo is an exciting new stallion who burst onto the international scene this year with his fourth place finish at the World Equestrian Games ridden by Rodrigo Pessoa. HH Rebozo was bred to be a champion. His father Tlaloc La Silla (ex Dollar de la Pierre) was a great competitor and also produced many great horses like Oasis (ex Incas de L’Oasis). His dam, Renata La Silla by the great Ramiro Z was a champion international show jumper who was named best mare of the Netherlands in 1994. HH Rebozo’s compact, modern sport horse conformation, along with his scope, carefulness and relaxed attitude make him an ideal match for many mares. This season HH Rebozo’s results have been exemplary: 3rd CSI5* Global Champions Tour in Turin, Italy, 3rd in the CSI5* Grand Prix of Rome, double clear in the Nations Cup and 4th individually at the World Equestrian Games in Lexington, Kentucky. 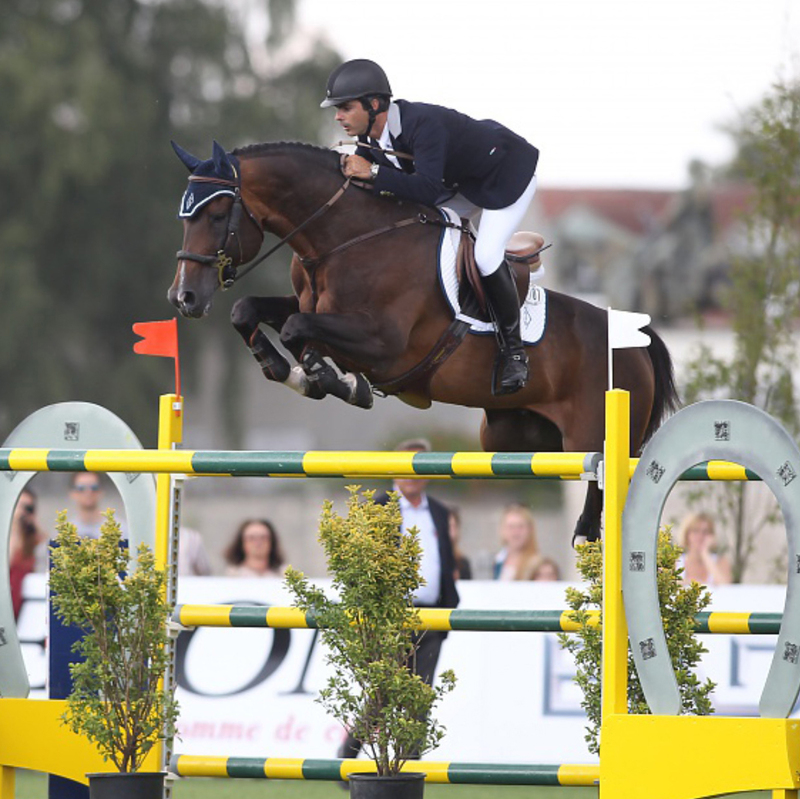 HH Rebozo also successfully competed in the 2012 London Olympics with Olympian Rodrigo Pessoa. He was awarded his “Elite” status by the BWP in 2012. Rebozo was awarded the prestigious status of Ambassador with the BWP in 2014. He is the first ever Ambassador awarded to a North American approved stallion!